“Storage migration for virtual machine ‘servername’ failed with error ‘General access denied error’ (0x80070005). 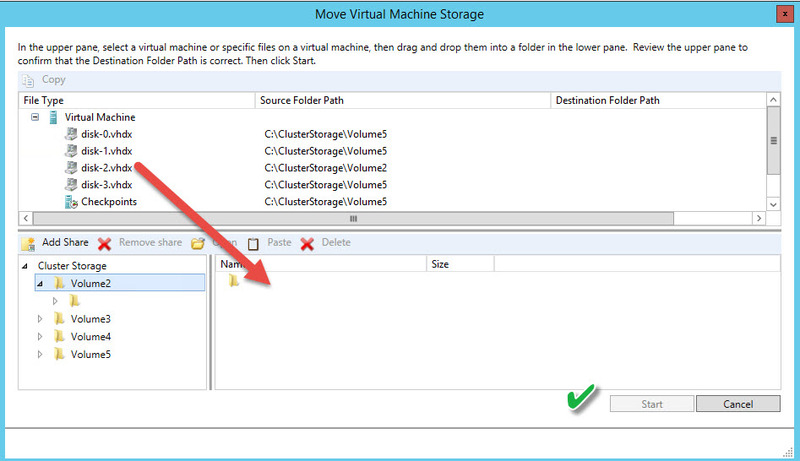 “Storage migration for virtual machine ‘servername’ failed with error ‘General access denied error’ (0x80070005). Migration did not succeed. 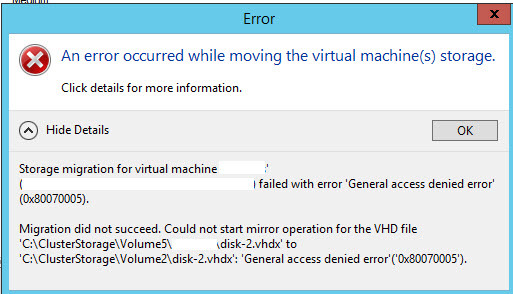 Could not start mirror operation for the VHD file C:\ClusterStorage\Volume5\servername\disk-2.vhdx to C:\ClusterStorage\Volume2\disk-2.vhdx’: General access denied error’ (0x80070005). As generally Hyper-V will create a folder name for the VM when selecting the root folder, I hadn’t given it much thought however after creating a folder with the name of the server and selecting it as the destination it completed successfully. Based in sunny Tauranga, New Zealand, AJ McKean is a Senior Systems Engineer in Mt Maunganui. With over 15 years of professional IT experience working in both New Zealand and the United States, he holds several certifications including MCSE(2000-2003), MCITP:Enterprise(2008), MCSA(2012), VMware VCP-DCV5.5, CompTIA A+ & is an HP Storage Architect. He is passionate about all things IT, especially virtualization, automation & cloud technologies.